Sooner or later, every indoor gardener finds that his collection of house plants has a rollicking crop of bug pests of one kind or another which, seemingly, has moved in overnight. Of course, the insects don’t just appear – they have to get into the house by some means. The most common way for them to get into the house is via new plants or cuttings. The friend who in all kindness gives you a cutting of a favorite plant may unintentionally, not be a friend after all. I have received cuttings that failed to reveal signs of insect pests even after the most careful examination. Yet, within three months, these same plants were covered with mealybugs in all stages of development. The same thing can happen with several other kinds of pests for the eggs and other early stages of some insects are not easily found. But, given time to develop, they will make themselves plainly visible. Some commercial growers unknowingly ship plants on which there are one or more kinds of insects. These propagators may use regular control measures in their greenhouses in order to keep the insects down but these do not eliminate the pests entirely. Once these controls are stopped – as when you buy the plant and bring it into your home – the insects begin to multiply. To be on the safe side, isolate any new plants or cuttings until you are sure they are free of bugs. You can’t go wrong in regarding every plant with suspicion, regardless of its source. The same thing can be said of plants moved indoors from the porch or garden where they have spent the summer months. Outdoors they are exposed to all kinds of insects and some of these may come into the house with them in full. Careful inspection and even precautionary spraying or dipping of your plants as they are brought in may result in less trouble with bugs during the winter. If care is taken, other sources of insects may be eliminated. For instance, many may be brought indoors on dirty plant containers and plant stakes. Mealy-bugs are able to go into a semi-dormant state on pots or stakes and live until another plant is available for food. 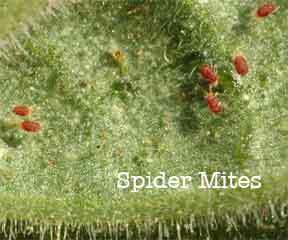 Spider mites and the eggs of other insects are carried over in this same manner. So you see how necessary it is to wash out containers and sterilize them with boiling water or use bleach before using them a second time. Destroy old plant stakes rather than bother with cleaning them. Insects may come into the house on cut flowers, especially if these are from the garden. Aphis may fly in through open doorways in spring or fall which is the time they produce their winged stages most freely. Even though we know all this and do all we can to protect our plants from bugs, some will still show up from time to time. If you learn to recognize plant pests in the early stages and know just what to do to eliminate them then you will be able, to save many of your favorite plants. The best way to reduce any pests on your plants is with good cultural practices. Clean leaves, proper watering, good soils and looking over your plants regularly. However, sometimes an insecticide needs to be used. My preference for pest control on plants indoors and out is first – Neem Oil a natural organic insecticide. If a chemical is required, the next insecticide I reach for is – Malathion. Always read the label before applying any chemicals to your plants. Mealybug – House plant insect enemy No. 1 is the mealybug. When mature it is about 14-inch long, oval in shape and covered with white waxy powder. Its body is also covered with numerous hairlike projections. Mature-adults move about freely until ready to lay eggs, at which time they spin a cottony mass and deposit from 300 to 500 eggs. Mealybugs do not develop into a winged stage but they may spread from plant to plant by contact, or they may get on clean plants front, dirty containers or old plant stakes. When feeding on many plants they excrete a sticky substance called honeydew. If this material is not washed off, it becomes a medium for the growth of a black-sooty fungus that further detracts from the plant’s appearance. Honeydew also attracts small ants and, in turn, the ants furnish the mealybug with transportation to other plants. This relationship between ants and plant insects is very common, especially in the garden. Any control measure that prevents the bugs from reaching the mature egg-laying stage is helpful. Regular washing with a jet of water is useful for removing the older insects and egg masses. Infested plants should be isolated as soon as discovered. Sprays or dips of contact insecticides are valuable. My preference is Neem Oil a natural organic insecticide. Malathion also works, but one of the better contact insecticides for mealybug is Volck, a miscible oil spray. One tablespoon of Volck in a gallon of warm water makes the right proportions for a spray. Better still make enough of the spray material so that plants to be treated can be inverted and dipped in the solution. Several treatments may be required to clean up a severe infestation of mealybug. Keep successive treatments at least three weeks apart to lessen danger of injury to plants. Thrips are those tiny insects so troublesome on iris, gladiolus and other garden flowers. They are also troublesome on many house plants. Thrips seldom measure more than 1/20 of an inch in length. They are slender and vary in color from green or white, in the young insects, to brown or black in the adults. The injury caused by thrips is so characteristic that – their presence is easily recognized. They feed by scraping the epidermis of the leaf and sucking the sap front bruised cells beneath. Injured tissues turn gray pr silvery colored and black specks of excrement are usually present around the affected area. Older leaves are generally affected nmst. With some plants the lower leaves first have the symptoms previously mentioned then the leaves begin to take on a dried or burned appearance. Thrips multiply much more rapidly at warmer temperatures, so when an infestation occurs it is well to move the plant to a cooler location until the insects are eliminated. Malathion is an excellent control for thrips. After a week or ten days wash it off thoroughly. – are most troublesome on ferns and foliage plants. They are tiny insects that work under the cover of a flattened scale that is usually gray, orange, brown, or black in color. They feed by inserting their mouth parts into the cells of the leaf or stem and sucking out the plant juices. The spot directly under one of these insects becomes brown or yellow and eventually the entire leaf becomes lighter in color. Fortunately, these insects are stationary, except during the first few hours of their existence. Judicious pruning is helpful where the infestation is localized to a few leaves or stems. Plant soaps are sometimes effective. Malathion used as a dip will kill most species of scale though several treatments may be necessary. Aphids – Although aphids on houseplants are the commonest of all, they are by far the easiest to control. Aphids are small, usually green in color, and capable of multiplying rapidly. If left alone they will do much damage. Usually they are wingless, but under adverse conditions such as in late fall, they produce winged stages. Washing plants regularly, or the use of any good contact insecticide will control them. White Fly – The white fly is related to the mealybug but does not resemble it. Since it is covered with the same sort of white waxy substance it is rather difficult to wet with spray materials. The adult white fly is a small, white winged insect about 1/16 inch long. The insects in younger stages, which are wingless and greenish white, may be found under the leaf along with numerous small black bodies which are actually parasitized young. A tiny insect parasite punctures and inserts its eggs in the body of the young white fly, which, in turn, becomes blackened and dies. White fly is especially troublesome on fuchsia, geranium, begonias, and a number of other house plants. One of the most practical ways of killing them is washing the plants weekly with soapsuds, which should be washed off with clear water afterward. Washing plants under a tap will gradually thin out an infestation of white flies but this takes a lot of persistence. These washes kill few if any adults but will destroy the wingless young and interrupt the life cycle. Red Spider – Of the mites that are troublesome on house plants, the two-spotted or red spider mite is the most common. Red spiders are tiny, being smaller than a pinhead when full grown. They thrive in a warm, dry situation. The use of clear water as a syringe is one of the most effective control measures. An infestation of red spider mite in the advanced stages will be well covered with webbing, but even this webbing can be syringed off with little difficulty. Syringing the plant with a jet of water helps in ridding the plant of both eggs and adults. There are a number of insects and lower animals to be found in the soil. These include sow bugs, slugs, millepedes, earthworms, springtails and several others. Some of these may come to the surface when a plant is watered. For the most part they do not harm plants. Earthworms can best be eliminated by locating and pulling them from the ball of soil when it is moist. During one winter season the indoor gardener may have to contend with one or all of the pests mentioned. Accurate identification, prompt action and persistance are all necessary in combatting these house plant enemies.